I ADORE this holiday. And, it always makes me giddy and excited for the official kick off of the holiday season. So many great things to come- hello best time of the year. This year I was determined to go to a real pumpkin patch, check! 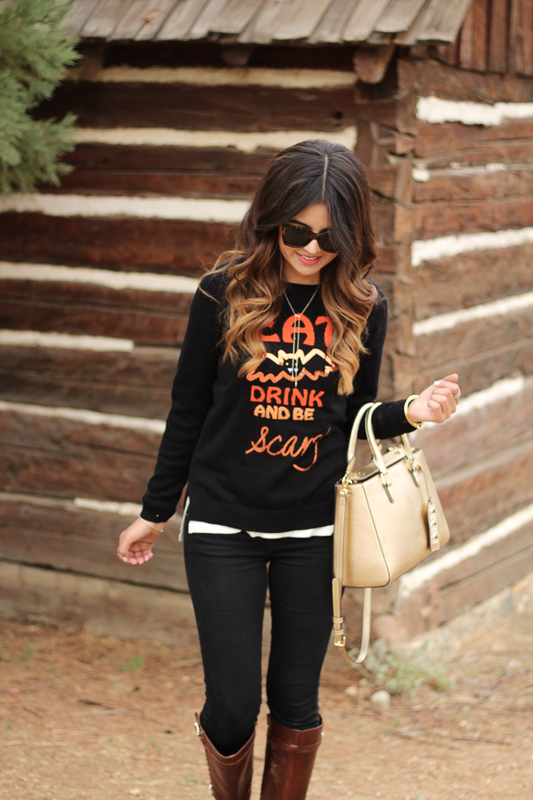 And so of course I had to snap some pics of this cute sweater I found at TJmaxx-- Eat, Drink, and be Scary! Since Halloween is on a Monday this year... this is my actual #HalloweenOotd. I will probably spend it watching movies and handing out candy. Very, very simple; yet, it is my favorite thing to do.